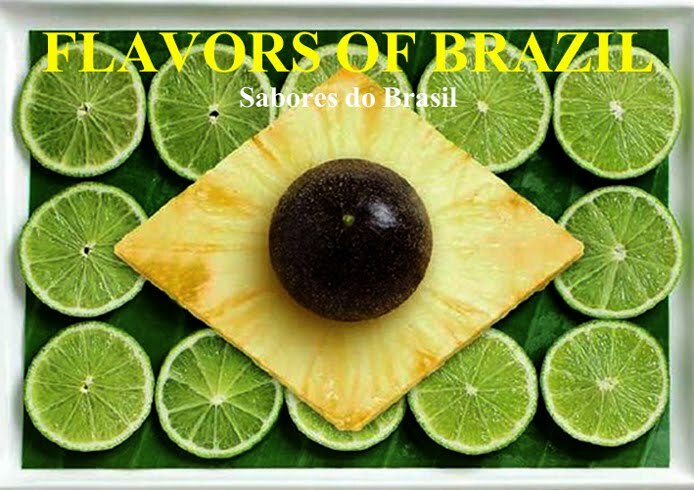 Brazilians love crustaceans - that is to say Brazilians love to eat crustaceans, though perhaps some Brazilians love crustaceans in and of themselves. Shrimp, langostines, crawfish, lobsters and numerous types of crabs fill restaurant menus and are enjoyed everywhere in Brazil, not just along the coast. 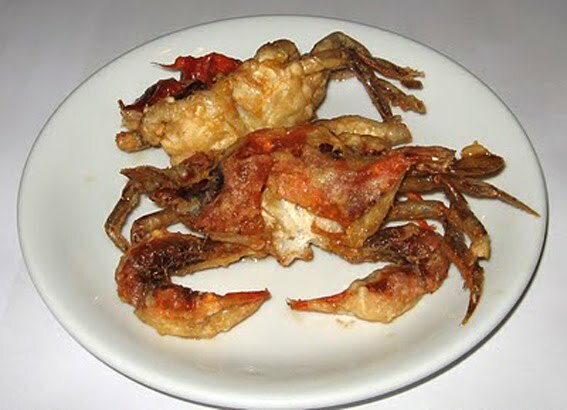 Some varieties of crustacean are found in great parts of Brazil, but others are quite local (click here to read about the aratu, a species of crab). 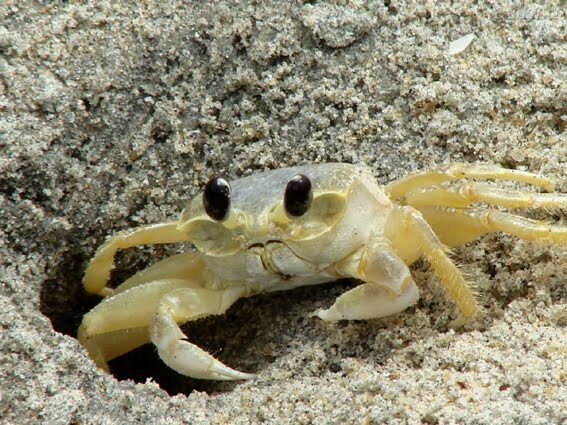 Along Brazil's northeast coast, one of the most highly valued and sought-after species of crab goes under the name of siri, and in particular Brazilians love to eat it as siri-mole. The siris are a family of crabs (genus Callinectes) which is distinguished by their oar-shaped hind legs, which make them excellent swimmers. In fact, the usual term in English for the siri is "swimming crab". The most well-known swimming crab in the USA is the famous blue crab of the Chesapeake Bay on the mid-Atlantic coast. Like all crustaceans, the siri must periodically shed its hard shell in order to grow. Human gastronomes have discovered that this little creature is particularly delicious just after it has molted - that is, shed it's shell - and before a new shell has had time to harden. In English, during this vulnerable time these crabs are called "soft-shelled crabs", and in Brazil, "siri-mole" which merely means "soft siri." In this soft, shell-less state, Brazilians enjoy siri-mole simply fried, cooked in a soup or stew, or most of all, turned into a moqueca de siri-mole - a typical dish from Bahia which employs the iconic Bahian flavoring ingredients coconut milk and dendê oil. In the next post, I'll provide a very "literary" recipe for moqueca de siri-mole, from one of Brazil's most famous authors. FAQ - What's a "caipirinha" (besides a cocktail)? Has Açaí Jumped the Shark?